Rock art sites provide an increasing potential for in situ analysis, given the large number of technological developments within the discipline of archaeology and its ancillary sciences. These sites represent an incomparably rich heritage. However, they must be protected, as some of them are destined to disappear if nothing is done to prevent it. This is a genuine challenge for any researcher looking to re-examine rock art in order to further scientific knowledge and ensure its protection and appreciation. A rock site is typically analyzed by documenting its visible components through various tracings, samplings, etc. To complete the analysis, archival research is conducted to identify relevant sources referring to the more recent history of the site. An oral inquiry can be made to help reconstitute the significance of such a site for Indigenous groups living nearby and their immediate ancestors. A rock art site is documented and analyzed by taking into account its images, panels and surrounding landscape. 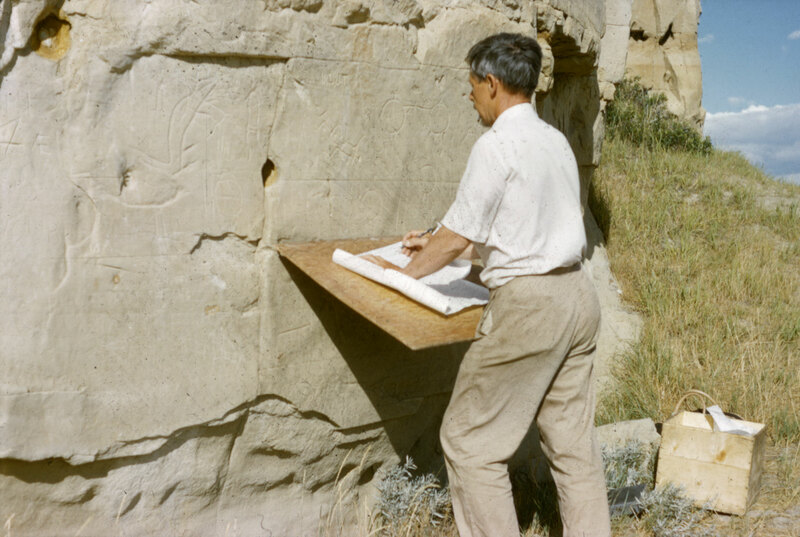 Data collected in situ include petroglyph or pictograph reproductions documented by mouldings, rice paper tracings, 3D scans or photographs, later enhanced with software tools such as DStretch. Samples are also collected for microanalyses and radiocarbon dating, and the chemical composition of pigments is identified with Portable X-Ray Fluorescence Spectroscopy. Eventually, researchers will be able to determine the source of the ochre used to paint the images. The exact location of the site is also recorded with a GPS. Such documentation is part of the patrimonialization process that allows access to invaluable and useful documents (drawings, tracings, photos, 3-D and sound recordings, etc.) likely to help reconstitute in vitro or in abstencia the components recorded at rock art sites. Natural and anthropic factors with a potential to affect rock art heritage must be considered in any site conservation initiative. Rock art sites deteriorate over time due to erosion, climate change, recurrent seasonal impact and aggressive agents such as plants and animal droppings. Human activities can also be a considerable cause of deterioration, whether through the development of hydro-electric dams that cover sites with water or vandalism that has damaged several sites across Canada. Therefore, thorough periodic monitoring is vital, despite the remote location of some sites. However, difficult access to these sites contributes to protecting them from vandalism. Conservation of a rock art site primarily relies on experiments conducted to stabilize its surroundings. Áísínai’pi is an example, where conservation efforts have been made to limit erosion to the sedimentary rock on which petroglyphs were carved. 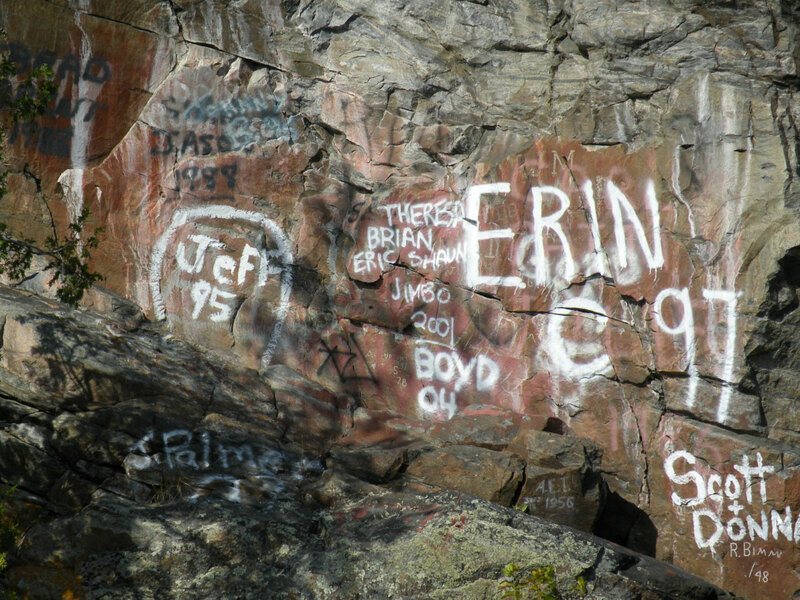 In addition, site keepers are exploring various processes to counter the proliferation of graffiti deteriorating sites and means to remove existing graffiti without affecting rock art representations. Educating is vital to ensure the conservation of rock art sites. People must be made aware of the fragility and significance of this unique heritage that is sacred to the First Nations and Inuit of Canada. Education is carried out by museum institutions, public ministries of culture, provincial and national parks, and through various scientific or popular publications. Lastly, the expectations and concerns of Indigenous peoples must be considered in conservation processes. Not only must the images be preserved, but also the relationship that Indigenous peoples maintain with this heritage, its spirituality and surroundings and, more generally, the spirit of the place.